James Read is the worlds leading expert in tanning and an industry trendsetter. From Rosie Huntington Whitely to Ellie Goulding and Laura Whitmore, James is the beauty insiders go to guy. His namesake brand is available globally, loved for its skincare enriched formulae and sun-kissed glow. James Read tan made the Fetch Edit for a number of reasons. To start with- the products are outsTANding, secondly the formulations are all enriched with ingredients typically reserved for skincare products. Our mission at Fetch Beauty is to promote great skincare habits so its important to us to work with a tanning brand that complements a killer skincare routine. 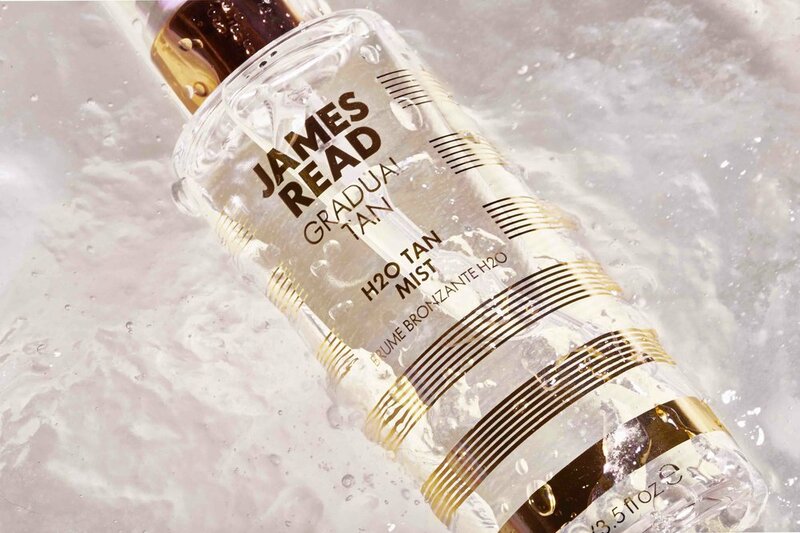 The very first product I tried from James Read Tan was the H2O Gradual Tanning mist... my good pal Jo had told me about it and at the time it was sold out everywhere. We are both still hooked, probably more so in summer months but its equally versatile in winter months to take the edge off a pasty complexion. I wanted to know what drives James to create new products and how he continues to innovate. Fetch Beauty: Who or what inspires you? James Read: I'm inspired by everyone around me. That quote by Grace Coddington Creative Director at American Vogue where she says 'always watch whats around you, each thing you see will inspire you.' One of my mentors is a woman called Anna Marie Sollowij who was UK Beauty Director at Vogue for years and she's worked with my brand for years. We're really good at bouncing ideas off each other. She gets beauty. JR: I don't. I cleanse with 111Skin though, I'm obsessed with their eye patches (Meso Infusion Overnight Patches) and I use the Serum (NACY2 Recovery Serum). I like the fact that it balances my skin I'm quite prone to spots and I find it really balances out my skin. I discovered 111Skin in New York but its actually a London brand and we're in the same locations in a lot of places all over the world like Australia. FB: Who would you say is your style icon? JR: Everyday fashion. So I'd say everyone and anyone that I see. Lately I've been quite inspired by 90's which is really back in, like Versace. Australia is amazing for shopping, I always find the best summer shirts. FB: If you didn't run the best tanning brand in the world what would you be doing? JR: Running Vegan or Vegetarian restaurants. I love food, I'm not a vegan as I eat dairy but I am a vegetarian. I trained as a chef. I'm one of those people that if I didn't do tanning I would have done something else, I was never one of those people who could work for someone. FB: Whats the key to your success? JR: My products are effortless to apply and are all about making your skin not only look amazing but feel amazing too. The modern tan is all about enhancing your natural beauty with a subtle injection of colour and our products achieve that. FB: Whats the title of the funniest messaging group you are in? JR: Its called the Kylie WhatsApp Group, its a group of people from the industry from producers to magazine editors to journalists all that kind of stuff. Everyone talks about 80's and 90's music and comes up with facts. Its like a revival of that era I learn loads. An edit of the James Read Tanning range is available now at Fetch Beauty. Tried and tested, our edit is focused on effortless application thats not orange, sticky or drying for the skin.